Operation Feed is a friendly competition among local companies and organizations, grouped according the number of employees. It is an employee-driven drive to collect food and money that will be used to purchase nutritious food. Ca mpaign dates: May 13-July 31, 2019. You can run your compaign any time during that period. A two-week campaign is recommended. 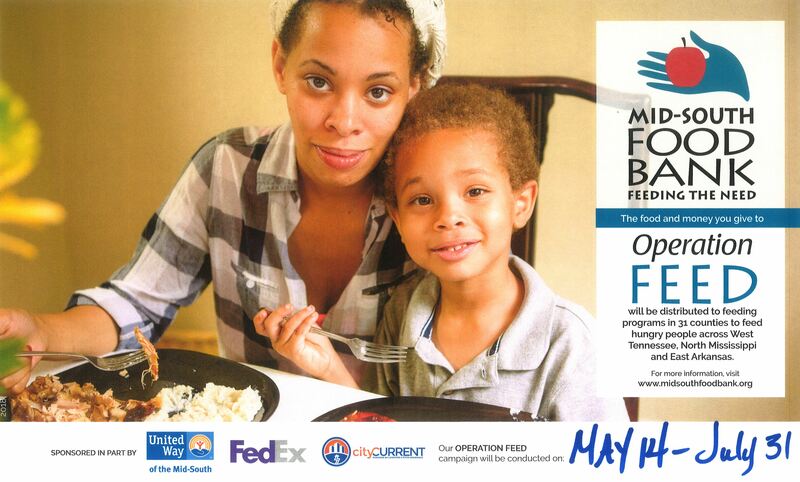 Your Op Feed coordinator serves as the liaison to Mid-South Food Bank.